All Water Systems’ automatic disc strainers utilize advanced disc filtration technology to provide an efficient water straining system as part of a complete water filtration solution. Our grooved discs create a specific micron sized channel when layered and stacked within the housing unit. These stacked discs are compressed to create an array of surface areas that capture solids and allow the water to percolate through the filter in a pressure and corrosion resistant housing unit. 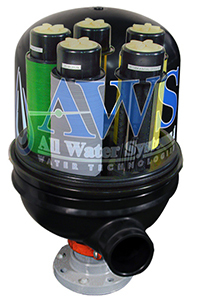 The disc filtration system allows the water to enter from the peripheral end of the unit to the element’s core. Water filtration level is dependent upon the micron rating and number of discs used in the unit. Using our 30 years plus of experience, we can help select the right automatic disc strainer to meet your water filtration needs and application requirements. 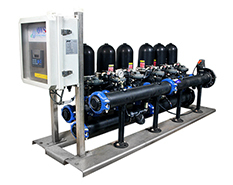 Whether you need a stand-alone unit or an automatic strainer as a pre-filter to your overall filtration system, we have worked in a wide range of industries and can help you solve your water quality process. For More Information on automatic disc strainers or disc filtration systems, call (412) 824-6560, or click here to contact us.